Bajaj Steel Buildings is a product of Engineering Excellence & Design Perfection which has been the Bench Mark of Bajaj Steel Ind. Ltd. Bajaj Buildings are Safe, Technologically advanced, Cost Effective, Single stop solution to all the sectors meeting all the customers needs through its versatility in Designing & Fabrication. 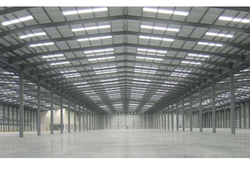 We have become the prominent manufacturer of remarkable quality Industrial Steel Structures. These are custom designed as per the availability and requirements of the clients. These Industrial Steel Structures are manufactured in compliance with international safety standards. We are highly appreciated for our surpassing quality of Industrial Steel Structures in the market. These are known for its exceptional features like accurate dimensions and lightweight. 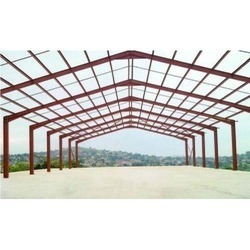 Our company is offering these Industrial Steel Structures at industry leading prices. 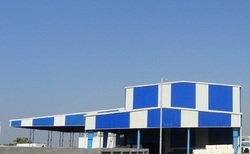 Bajaj Steel Building, a division of Bajaj Steel Industries Limited, Nagpur India, established in March 2010 and executed more than 250 Steel Building projects (Domestic and Export). Bajaj Steel Industries Ltd. an ISO 9001:2008 certified company has always focused on providing complete solutions by ensuring high degreeofpreciionin Designing, manufacturing commissioning and after-sales support. Bajaj has been awarded prestigious ‘Star Export House’ Certificate by ‘Ministry of Commerce & Industry. Experienced team of senior designers and detailers. technical support for Layouts and Operational details. Design departments fully equipped with high speed plotters and printers. Plant build-up area over 31,000 sq.meters. Efficient power backup for non-stop working. Bajaj Steel Building, a division of Bajaj Steel Industries Limited, Nagpur India, established in March 2010 and executed more than 250 Steel Building projects (Domestic and Export). Bajaj Steel Industries Ltd. an ISO 9001:2008 certified company has always focused on providing complete solutions by ensuring high degreeofpreciionin Designing , manufacturing commissioning and after sales support. Bajaj has been awarded with prestigious ‘Star Export House’ Certificate by ‘Ministry of Commerce & Industry’. Bajaj has in-house Design & Engineering Capabilities to reach new frontiers of technical excellence. It has established dedicated Engineering center & also Design& Development centers for the entire range of products and their manufacturing technologies. Efficient power backup for non stop working. Bajaj Steel Building, a division of Bajaj Steel Industries Limited, Nagpur India, established in March 2010 and executed more than 250 Steel Building projects (Domestic and Export). Bajaj Steel Industries Ltd. an ISO 9001:2008 certified company has always focused on providing complete solutions by ensuring high degreeofpreciionin Designing, manufacturing commissioning and after-sales support. Bajaj has been awarded prestigious ‘Star Export House’ Certificate by ‘Ministry of Commerce & Industry’. Efficient power backup for nonstop working. Bajaj Steel Building, a division of Bajaj Steel Industries Limited, Nagpur India, established in March 2010 and executed more than 250 Steel Building projects (Domestic and Export). Bajaj Steel Industries Ltd. an ISO 9001:2008 certified company has always focused on providing complete solutions by ensuring high degreeofpreciionin Designing, manufacturing commissioning and after-sales support. Bajaj has been awarded with prestigious ‘Star Export House’ Certificate by ‘Ministry of Commerce & Industry’. The experienced team of senior designers and detailers. Design departments fully equipped with high-speed plotters and printers. Bajaj Steel Building, a division of Bajaj Steel Industries Limited, Nagpur India, established in March 2010 and executed more than 250 Steel Building projects (Domestic and Export). Bajaj Steel Industries Ltd. an ISO 9001:2008 certified company has always focused on providing complete solutions by ensuring the high degree of precision in Designing, manufacturing commissioning and after-sales support.Bajaj has been awarded prestigious ‘Star Export House’ Certificate by ‘Ministry of Commerce & Industry’. The experienced team of senior designers and retailers. We are amongst the well-known companies for designing Industrial Sheds Fabrication Services for various commercial applications. Our process initiates with design advice and thereafter engineering, construction detailing and finally, commissioning. 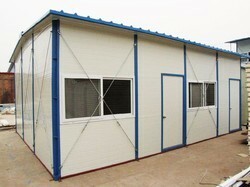 We make use of most advanced techniques to provide rigid, reliable and optimum quality prefabricated sheds. 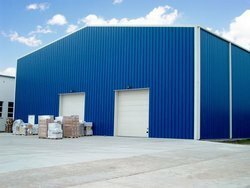 Looking for Industrial Sheds ?